LOS ANGELES, CA - FEBRUARY 27th - Geek & Sundry, the award-winning original YouTube channel, is proud to announce the first International TableTop Day on March 30, 2013. International TableTop Day encourages people from around the globe to participate in the joys of board gaming by empowering the community to host thousands of gaming events internationally. Participants can sign up at www.tabletopday.com for free events at their favorite local game stores or submit their own event at their home, community center or business. Participants are encouraged to use the hashtag #TableTopDay on social media to share and connect their own events on a global scale. In conjunction with this announcement, Geek & Sundry has revealed their website www.tabletopday.com, the central hub for the community to bring together tabletop fans, publishers, and retailers from around the world. The tabletopday.com website provides fans with resources such as the interactive event map which tracks all #TableTopDay events worldwide, inspirational videos from their favorite YouTube stars, blog posts by popular columnists on how to plan for their event, and fun downloadable content to keep fans excited leading up to March 30th, 2013. Organizations, businesses, community centers, retail stores, and fans worldwide are invited to submit their own events for free and help make International TableTop Day a community-driven celebration of tabletop gaming. About Geek & Sundry: Original YouTube channel Geek & Sundry features the best of indie geek culture and the internet’s foremost geek voices. Founded by the producers of the hit web series The Guild, Geek & Sundry offers a diverse lineup of shows that create a hub for fans of comedy, gaming, comics, music, and literature around the world. Spearheaded by prominent geek figureheads, Geek & Sundry features original content by Felicia Day (The Guild, Dr. Horrible, Eureka), Wil Wheaton (Star Trek, The Big Bang Theory). For more information, visit www.geekandsundry.com & watch us on YouTube at www.YouTube.com/GeekandSundry. Please welcome to the blog Lee F. Szczepanik of Daring Entertainment! Hey, thanks for having me. Well, to those who don't know Daring Entertainment, I'm Lee F. Szczepanik, Jr., the company's creative director and one of the partners. I'm the guy behind War of the Dead, World of the Dead, Hellbrood, and all the other stuff. I've been a published author for over 25 years, starting way back in 1986 at a pretty young age. I've worked in novels, short stories, comic books, television, and jumped into creating RPGs around 2005 or so. Other than that, I've four kids all ranging in age from 19 years old to 3 years old, just turned 40 on Christmas, and need to find a way to get more sleep at night. I started roleplaying around 1988. Unlike a lot of my fellow gamers, I didn't start with D&D. Outside of Ravenloft and Dark Sun in AD&D 2e, I've barely played any edition of D&D. My first exposure to RPGs was through the Marvel Superhero Advanced Set. I saw it at a Waldenbooks, bought it out of curiosity, and started running it for my cousins and siblings. Matter of fact, we started with the Nightmares of Futures Past supplement/adventure. From there I'd played a ton of games, ranging from Shadowrun (1e through 3e), Elfquest, Stormbringer, TORG, Star Wars d6, DC Heroes (Mayfair), Amber Diceless, Vampire: The Masquerade, Paranoia, Witchcraft, Mekton, Cyberpunk 2020, Toon, Teenagers from Outer Space, you name it. We didn't get into the two game systems we've licensed until much later: M&M 2e the year it released, and Savage Worlds in 2007 after discovering the Rippers setting. In all those years, I've been primarily a game master. My game time has diminished a bit in recent years, but that has a lot to do with my own work schedule (outside of RPGs, I have an upcoming novel trilogy through my literary agent that I am also working on), general group work hours, and other daily grind stuff. For me, it's the creative aspect. 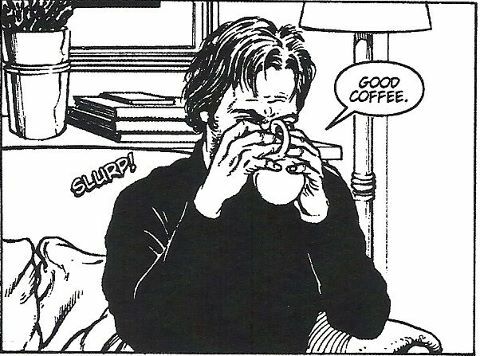 Looking way back to early teenage years, even before I discovered RPGs, I can't remember a time when I wasn't reading and creating at an obsessive pace. RPGs have always been an instant way to create and (hopefully) have others enjoy it, regardless of what table or group. So, most definitely the creative aspects of running or playing a game are the huge attraction and what I enjoy the most. We aren't too heavy in our personal games on playing the rules "as is" or even designing a house rule for everything. The way we game, it's story and character first. If there's a hole in the rules, we'll just ad-hoc a die roll and move on. I think it's one reason Amber Diceless got so much play out of us in the past, and why we've always prefered simple systems like Marvel Superheroes and Savage Worlds (sans the minitaures rules, as we don't use minitaures either). I think my all time favorite game is a tie: Marvel Superheroes and d6. Both are very good at doing what they are supposed to do, and then getting out of the way. Both systems have also, for reasons I don't understand, really got my creative juices flowing for creating adventures. Of the current games, Savage Worlds is a modern favorite. Now, I'm not saying that because I license it. If the game ever changed too much with a new edition that the statement stopped being true, I would close off the product lines and leave the brand. Honestly, if I can't creatively get behind a system, then how can I create for it, right? But Savage Worlds is a big one for me, and also why I became a licensee. I've also become a huge fan of FATE and BRP in recent years. I haven't had time to play in a few months, what with the recent Kickstarter, Holidays, and all that chaos. We are currently batting around ideas for what we want to start gaming, and are about to introduce my 14 year old son to the hobby on a steady basis. Early ideas being tossed around right now are: Rune Punk (Savage Worlds), Marvel Superheroes, and Marvel Heroic (the new game from MWP). We want something simple so that the brand new player isn't boggled down in a ton of rules, and can get into the meat of what roleplaying is about for us. Of those three, we are leaning toward Rune Punk because it is light, fun, and they want to resurrect a few of their old characters for it, some of which were great comic relief. The jury is still out, though, and we are still looking at other possibilities. I always chuckle at the death-knell conversations. If you play MMORPGs like I also do, pick a forum— after the huge moves to F2P and B2P, and the failure of Star Wars: The Old Republic, people have been sounding the MMORP death-knell for a little over a year now. Reminds me so much of the RPG industry. For one, the RPG industry is going to have to shift because society and how we interact has shifted since RPGs first appeared. Digital formats and direct selling are rising. Not only that, and I don't have the answers on this one or I would be developing the platform through Daring myself, but the industry has to find a common, effective way of playing RPGs with friends and family online. That is going to be key to the future. We have some decent methods that are currently being used, I just don't feel it's where it needs to be for the health of the hobby, yet. Other than that, I honestly don't see the three-tier distribution system as being part of the industry's future. Don't get me wrong, I'm not against game shops and try to support them as much as I can at my current company size. I am, however, growing to become more and more unhappy with the distributors. Unfortunately, the entire distribution system is seriously outdated. Although we are still working on business models, Daring is already looking at eventually leaving the distribution system and doing more direct sales. Not only between us and our customers directly, but also with Chronicle City's possible help in reaching retailers directly, providing tangible incentives for running demos of our games, and so forth. Right now, I am losing a huge piece of the MSRP just to have the "street-cred" that I am being distributed, just so I can then sit on the warehouse shelves unless some customer walks into a shop to "special order" the book. Since we aren't WoTC or MWP or one or two others, few actually shelve us. By the time it's done, that MSRP is lost, we don't even see shelf space in a vast majority of stores, and we make a little over $5 on a $30 book just to be a "special order". I'd rather target the shops directly, work out incentives to get the books purchased by them and shelved, and then build a network of people to run/demo the games in the shops and expose them more (and hopefully move them off the shelves). The days are closing on distributors taking 55%-59% off our MSRP, or playing sour grapes because we used Kickstarter (never mind that their outdated gustapo model is why many of us are forced to look at Kickstarter). Hellbrood: Countdown to Invasion. That book turned out better than I'd hoped when I started writing it, and I know where the products are heading in the future. I love that setting, the adventures/stories, and all the things coming on the horizon. Well, like any industry, this one has its share of horror stories. I'm not going to mention any names, as that won't benefit anyone (especially Daring for doing it), but I've already caught one extremely popular game designer in a particular genre directly plagarizing older games and getting away with it. Heck, he not only gets away with it, but the company he's with sells such games hand-over-fist. And I don't mean using OGL material, which is allowed. I mean directly taking a lot of text from pre-OGL games and using it word for word in different products without even an acknowledgement. Needless to say, I stopped purchasing from that company. I never want to see any company go under, but in recent years that one has been floundering a bit, and I smile. Those companies deserve it. Another has been dogging us since I entered the industry in 2005 as Arbor Productions. They've tried to rip us off and be cute about it. After they got caught with that, they then tried poaching our talent by offering better pay and then locking them down with a "conflict of interest" on working with us— and it darned near worked to hurt us at one point. All I will say to close that topic off is: we're still here. But to be honest, we actually have more good stories than bad. I've gotten to know a lot of really good people, not only as a game designer, but in some cases beyond the industry. Wiggy over at Triple Ace Games might live across the pond from me, but when it comes down to it, the man is a true long-distance friend. He'd helped me through a personal crisis back in 2009, we've talked a ton about personal lives and issues, and he's just one-of-a-kind. There are times I'm not sure I would enjoy doing this as much as I have over the years if not for Wiggy. Mike Dukes is another great guy. Although he doesn't do the industry full time anymore, he and I are still in regular contact. He still works with me when I need the help, and he's a terrific guy all around. He's having some great opportunities open up for him in his real field of employment, and I honestly wish him nothing but success. He's one of those guys, like Wiggy, that if I can help him in some way— I'll do it, no questions asked. Right now we are completing World of the Dead since that Kickstarter was successful, and this spring we are launching the Hellbrood Kickstarter. I am working on a complete relaunch of GET Into Action for Savage Worlds, which will debut with a 5-part adventure book done in the style of the old G.I. Joe: A Real American Hero 5-part miniseries cartoons, and then head right into the "Season One" plot-point campaign setting book. We are going to offer the 5-part miniseries for free (or with a discount equal to the price of the original GET Into Action, depending upon the new product's MSRP) to everyone that purchased the original PDF since 2009. Outside of that, we are designing the Daring Adventures Roleplaying Game, which uses a version of the OpenD6 license. Dave Martin, a new Savage Licensee and owner of Protagonist Games, is our Brand Manager for that entire upcoming product line. We also have 2 settings already in the works for it, and a ton of support products. Dave and I have been d6 gamers since the beginning, and in all honesty, if given a free choice, d6 is our #1 go-to system for gaming. We can't wait to get this updated, revised, and expanded version of the system out there. I can't say too much beyond that, as anything else would be a 2014 or beyond endeavor. A part of me died last night. 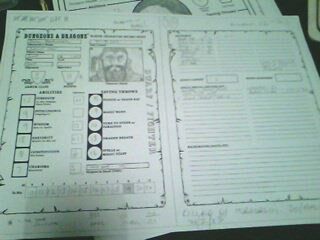 Burgen Beerswiller, a Basic D&D dwarf created on the 27th September 2012, fell under the sword of a particularly nasty hobgoblin whilst trying to clear out a subterranean temple. After 28 kills, attaining level 2 and winning the favour of the locals and the Lord of the region, donating his gold to the local church to fund the rebuilding of a church to St Cuthbert to help bring a failing market town back to prominence and fighting a pitched battle to save a small village, he bought the farm during a random nondescript encounter in a corridor. I'm not sure how I feel about it right now. Obviously I took a chance with him in what was obviously a dangerous dungeon and threw myself into combat - as I always did - and he fell to three consecutive bad die rolls and a very lucky critical roll so I'm fine with that part of the game as that's the nature of it. Sometimes luck simply isn't on your side. On the other hand, I'd invested quite a lot into this character. He was gruff but polite, he was gracious to the unfortunate and quite understanding (for a dwarf) and he had a great story arc on the go, so to play him for five months only to have him die an ignoble death with no resolution to the few plots he had become involved in, and even helped to create, leaves me with a huge sense of frustration and playing any other character to continue his quests won't bring me the same sense of satisfaction I would have enjoyed had I completed them with Burgen, the character I created with the intention of experiencing these adventures. This is one of the drawbacks of this kind of Basic D&D game, in any game where death is a couple of dodgy die rolls away. While I enjoy playing in high-adventure heroic campaigns, where death is dodgeable and major wounds are a minor distraction, it can be a little underwhelming as the danger and sense of risk isn't there. Yes, it's fun defeating the evil overlord in an amazing way but without that sense of death looming over you it can sometimes feel hollow, turning the game into just a shared storytelling experience that might not suit all the gamers at the table. On the other hand, with these high adventure games you can invest time and effort into the character and really develop them, enhancing the roleplaying experience and really watching an epic saga unfold. The mortality rate of high-risk games such as Basic D&D pretty much scuppers this kind of gaming, and even of you've played a PC for several months there's always the risk of a horrible random death, as is what happened with Burgen. In some ways I got overconfident with him as he'd rolled high for both of his two levels of hit points and I was quite capable of taking a couple of serious hits, and I was used to high-adventure games where the heroes would get stuck in, so it was inevitable that he'd meet a fate such as this. I think what upsets me the most about the death of Burgen is the fact that I had invested so much into him, and the overconfidence meant that I was quite happy to create a history and personality for him as well as make plans for his future in the game. Now all that work and all those ideas feel like a waste of time. The ongoing problem with this, of course, is that I've now created a new level one cleric, and straight away I've given him a past, a personality and a modus operandi... straight away I've invested creativity in a character that might die in his first encounter, but that's the way I game and I can't help myself, and besides - it's called a roleplaying game for a reason. My playing piece is called a character, after all, and if I regarded it as anything else then I might as well be using the boot out of Monopoly. Not only that, but there will come a time when my new character, Brother Sagart of the Church of St Cuthbert, will no doubt continue where Burgen left off so that the DM can continue his adventure, but the downside of this is that it will always feel like Burgen's adventure and this character is just filling in. I won't have the same level of emotional involvement in the game as at the back of my mind I'll be thinking 'this is what Burgen should have been doing - you know, that dead dwarf you played for five months'. I love the sense of risk, danger and adventure in Basic D&D. It's what gives it it's edge and it's sense of excitement. On the flipside, I'm wary about investing too much time in a PC for fear of wasting my time, which does make the characters simple playing pieces, rolling off the PC production line to give me a chance to roll some dice with my friends. Say 'Hi!' to Natalya Alyssa Faden, the brains behind 'Torn World', a 'unique vision of the genre where sword and sorcery collides with gritty ruin in a cataclysmic world left broken and bleeding by her gods.' As of the publication of this interview there's currently a Kickstarter running. Sure! So I’m Natalya Alyssa Faden. I’ve been going by “Alyssa” on Facebook, because when I joined it I did not trust it with my actual name – go figure. One thing lead to another, I ended up with over a 1,000 awesome friends, and now everyone knows me as Alyssa. I’m originally from England. I was born – and raised – in a city called “Chester.” For those who do not know, Chester was built by the Romans. It has an amphitheatre, bathhouse, complete Roman walls. How crazy is that? Can you imagine growing up in a place with 2,000 years of history and pubs built in the 1700’s? You develop a special mentality, believe me. Is it any wonder that I got into Dungeons & Dragons when I was in my early teens. I wasn’t that popular at school in the first place: computers and chess do not make for a cool chick, so jumping headlong into Napoleonic wargaming and Dungeons & Dragons made all kinds of sense. In for a penny, in for a pound, right? Of course, when you have the tabletop-RPG bug, it stays with you for life. So here I am, decades later (*shush* tell no one) still playing games. And you know what? The world has moved on. It’s cool now. Fez’s are cool. Urk! I mean, games are cool! Nerds and Geeks are cool. I wear my Nerddom and Geekhood with a huge amount of pride. Tell us about your gaming history - what got you into the wonderful world of tabletop? Ahha, I tend to do that – ramble on and hit the next question before it has been honest. But I can be more specific here. Napoleonic wargaming got me into the world of gaming in general. Thousands of Airfix painted miniatures, summer holidays spent setting up massive battles and playing them out for days on end with my friends. That and the computer game M.U.L.E. Man how we used to play the ehck out of that! Wargaming in general got me into a wargame club, that had me sitting board at a table one day while the guys spent 3hrs per move on a WWII game, and in the corner there was a small little group laughing their asses off. I remember it like it was yesterday. They were cheering, hollering, throwing down dice, and shouting out things like “You just killed my shadow with a +1 dagger!” Seriously, that’s what he said, I remember it so well. So I’m sitting there – bored – and they’re clearly having a lot of fun. I had to find out what they were playing. It was, of course, Basic D&D. The next day I owned the game. Within a week I was introducing it to my school. Fun times. What is it about tabletop gaming that attracts you? What do you enjoy most when playing a game? Seriously? Utter escapism. I mean, the whole world melts away doesn’t it? I can talk about how much I laugh with good friends, the memories of adventures and characters burned indelibly on my mind for all of time, but really – honestly – it’s because we get to visit other worlds, we get to live the lives of heroes – and anti heroes. We fight dread beasts, we slay dragons. And it’s “real” … you’re there. I would not trade that for the world. While gaming … maaaaaann … from fantasy through to science fiction … Cthulhu horror … a cyberpunk dystopian future …. Seriously … you get to be there. You recreate yourself, you do things anew, put yourselves into very different shoes. WOW. Anyone that does not game is so missing out. Oooooh, big, big question. There have been so many great games: Traveller, Rune Quest, Call of Cthulhu, Shadowrun. If I truly had to take one game with me to a desert island … *thinks* … I am not sure why, but I’d take Call of Cthulhu I think. I play d20 derivatives all of the time, and my group loves them (current Pathfinder), but I have a soft-spot for Call of Cthulhu. We play every other week. I mean, I play boardgames when I can, I play computer games a lot (less now, but it’s a huge passion). 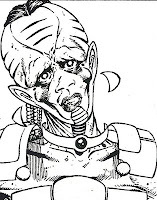 So I’m playing Xcom (on the back of Farcry 3) on the PC an hour or so every 2-3 days, and I am running a Pathfinder table-top game every other Saturday. If we do not game, we replace it with a board game session, which is always fun. The tabletop hobby has been through a lot changes over the years and it seems that its death-knell is always sounded when newer hobbies come along, such as collectible card games and online computer games. It still seems to be able to hold it’s own, though – what do you see happening to the hobby in the future? What changes, if any, do you think will have to be made to ensure its survival? Big question. I honestly think that a new era has been ushered in. It’s almost like the industry evolved in order to survive, you know? Just look at Monte Cook and the latest news that his Numenera could provide the next iteration of Planescape. Talk about overlapping genres. I also think that gaming as a whole has become way more “cool.” Sure, some people do not get it, but look how many people play boardgames, computer games and the such … but what has happened is there is an increasing overlap, players of one type of game are intrigued by others. I think this trend will continue, I can’t see “card gaming” doing away with table-top, to be honest. In fact, I’ll use my own Torn Armor as an example. I have a fantasy world I would like to introduce to people. I could go straight into RPG products, or maybe try my hand at a computer game, or a book … but I’ve chosen a boardgame. It’s a good medium. The game has not even been released yet and people are asking if there will be RPG supplements. That’s just awesome to me. I think that will continue: the strength of other gaming mediums will provide an influx of new blood into the RPG crowd. Torn Armor. Without a doubt. It has not been released yet, but the artwork, the caliber of the team involved, and the miniatures coming out of this thing – they’re unreal. The Kickstarter you've got running at the moment is to help with the production of 28mm miniatures for the Torn World RPG setting. Can you tell us more about this world, what your inspirations were and how you came up with this nightmarish place? Strictly speaking I can trace the Torn World back to a Bushido game I was running back in the early 80’s. It wasn’t “Torn” then, but a player’s action essentially ended the game in a cataclysmic way. I picked up with a D&D game a little while later and decided to place it in the same world, this time post-apocalypse, and from this the seeds of the Torn World were formed. After many years of writing and running games for various groups, all in Torn, I grew somewhat jaded and really wanted to branch out into something very new and very unique. I developed a concept for a world and really hammered on it, only to conclude that it was too alien for players to have fun in, so I abandoned the idea and went back to Torn. But now I was full of god-like zeal and so I smashed the whole thing, wrote in a massive cataclysmic event (two worlds smashing into each other), and redrew all the part of the world that didn’t like. The modern Torn World in its current iteration was born. So Torn has been the product of many decades, two countries, half a dozen different gaming groups, and multiple gaming system! The “other” world - the one I abandoned due to its alien nature – that has not gone away. The world that crashed into Torn will be visited one day, right? The nightmarish twist was Jack, my partner. He is all about “The Hills have Eyes” and “House of a Thousand Corpses,” that type of stuff. We overlap on “Hellraiser,” but seriously his imagination can go into incredible places. So when we met he wanted to run a game, I offered Torn as an option and he took it on. That right there introduced somewhat of a “twisted fairy tale” or “horror” aspect to some elements of the world. Aside from that, it’s all about Torn Armor. Torn armor is a Fantasy squad-based skirmish board game based in the World of Torn. 39 richly detailed miniatures, full color rule book, scenario book, spell cards, magical equipment cards, 4 double-sided battle posters …it’s going to be one hell of a package even with the core set alone. All of my time is spent on that right now. 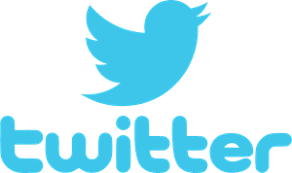 You can follow Torn World on: Google+ and Facebook, specifically here. Clearly, the player had not realised that motivation was not forefront in my mind when I designed the game – but it certainly gave me something to think about. I had always concentrated on the plot and the action, basically running the game as a sequence of encounters and situations, but never had really gone over the reason why certain people did certain things and what drives them to act the way they do. In this article I hope to give you some ideas on motivation based on upbringing, and give a few ideas on what to consider before deciding why a character, NPC and PC, is disposed to act a certain way. It may help to add more depth to the game as whole personalities are revealed, and it helps open up more role-playing opportunities as players start to question their own motives. What a child is exposed to can have an effect on their personality and perceptions at an older age as incidents throughout childhood mould their character. Their childhood will, in general terms, depend on the environment they were bought up in, with different ideas on how their position in life affected them, both POSITIVE and NEGATIVE. A POSITIVE influence is an indication of how events can improve a character’s personality, whereas a NEGATIVE influence details how events can transpire to make a character a danger to society. All these can be chopped and changed and added together – a nice family who lives in a rough neighbourhood, or a good kid falling in with a bad crowd always makes for an interesting character. For a real challenge you could randomise the character’s background by flipping a coin to see if their experience is positive or negative. POSITIVE = Perhaps the father of the character was a poor man but he had pride which made him work hard to improve his situation, or their mother, although the family had little, was satisfied to have the love of her family and did not need anything material to make her happy. An upbringing like this might make a character less greedy than most, more patient, or able to weather hardship. NEGATIVE = The father is angry at the ruling body who have allowed him to end up on the bottom rung of the social ladder. He spends his time drinking and working, creating dissent and taking out his anger on his family. The mother cares very little for children she did not want and sends them out to work and thieve so that the little they earn can go into her pockets. An upbringing like this may make the character violent, angry at peers and institutions, learning skills generally regarded as anti-social. POSITIVE = The friends of the character are enjoyable, well-rounded people with good hearts and friendly attitudes to everyone. They frequently go on trips and small adventures together, and bonds are formed and honoured as the group shares what little they have to improve their lot in life. NEGATIVE = The people the character knows are cheats, liars and unfriendly. The small social group the character falls in with have a reputation for cruel or anti-social behaviour and the only way they can get their kicks is by preying on those weaker than them. This often leads to infighting and distrust. POSITIVE = The location the character hails from is wide open and spacious with plenty of places to lose themselves in and appreciate what they have, or it is a well cared for part of a larger town which, even though it has very little in the way of wealth, makes do with what it does have and appreciates its existence. This creates a community spirit. NEGATIVE = The location the character is forced to endure is a dangerous place, with creatures or individuals a constant threat to the people who work and live there. Neighbours distrust and, frankly, hate each other. Its dirty, grimy and has the atmosphere that if you say or do the wrong thing you’ll be found in a shallow grave. POSITIVE = The character is taught that all things are equal, that good virtues are always a benefit to the individual and those about them. Their religion may take the form of a passive or defensive stance on violence, and they may also believe that, whilst they do not have much in the way of belongings or wealth, money and material goods are no substitute for a good heart and health. NEGATIVE = The character is bought up to believe in ‘survival of the fittest’ – those willing to do what they can to get what they want is all that matters for life is one huge battle for supremacy. Friends, family, neighbours, guests; they are all usable, disposable and crushable. Their religion may revolve around intolerance of other beliefs or cultures and violence is the only true solution. POSITIVE = The father of the character is a generous man and he has a pride which makes him work hard and share his fortunes, or their mother had the love of her family and acquired material goods for them to make them happy. An upbringing like this might make a character less greedy than most, appreciate what they have and the value of it, and willing to help those less fortunate. NEGATIVE = The father is angry at the fact that he only has so much. Perhaps he has progressed up from a lower social standing but still wants more. He spends his time working (although he shirks his responsibilities), creating problems for those around him and taking out his anger on neighbours and family. The mother cares very little for the children who are a drain on what she has, so she does all she can to get them to leave home as soon as possible. An upbringing like this may make the character angry at and distrusting of others and create abandonment issues. POSITIVE = The friends of the character are good people with their own lives but with friendly dispositions. They frequently gather at social venues, share trusts and stories, and great friendships are honoured as the group gather to appreciate each others company and personalities. NEGATIVE = The people the character knows are shady and always know ‘someone’ with a finger in the larger pot of trouble. The social group the character joins have a penchant for anti-social behaviour and this often leads to infighting and distrust of others in the group and outsiders to the group. Perhaps the ‘gang’ builds a reputation that leaves a lasting impression. POSITIVE = The location the character comes from is a beautifully natural place, or a whole estate/quarter of a city which has good security and wealth. This creates a community that enjoy gatherings and social activities and a general atmosphere of well-being and safety. NEGATIVE = The character is forced to handle themselves in a dangerous place, with dangers a constant threat to the community who live there. Because of this danger, maybe crime or gang problems, neighbours distrust and feud with each other. It’s an unsanitary, lawless and uncared for place. The atmosphere is one of continuous oppressive danger. POSITIVE = The character is taught that although all things are equal, hard work and commitment reaps it’s own rewards. Their religion may be a way of bringing together the community and preaching their non-aggressive stance on life and, whilst they have a comfortable existence, money and material goods are a way of defining your success. NEGATIVE = The character is bought up to believe in ‘if you want it, take it’ – those who want to better themselves had better be prepared to fight, cheat and tread on others to reign supreme. Their religion may incite distrust of other religions and encourage closed ears to other opinions and conflict. POSITIVE = The father of the character is a hard-working honourable man and his main aim in life is to make sure his family has everything they need to grow up to be good people. Perhaps their mother acquires tutors and materials to help them to grow. An upbringing like this might make a character appreciate their lofty position and the value helping others less fortunate. NEGATIVE = The father has so much that he become a selfish, uncaring miser. Perhaps he has fallen from a higher standing and hates the fact, or risen from a lower class and still wants more. He might spend his time playing and squandering his money, ignoring his family in pursuit of other distractions. The mother cares little for the welfare of her children and leaves them with nannies and carers for the most part. A childhood like this may make the character unemotional and selfish in his actions. POSITIVE = The friends of the character are of their social class and they mix frequently at expensive restaurants and venues. They share their leisure time doing exciting activities and travelling to far places, always under the protection of the security the family needs, and friendships are solid as they all appreciate the lives they lead. NEGATIVE = The people the character mix with are always trying to throw off the ‘leash’ of their superiors, trying to do things that are the opposite of their position, such as dangerous sports or ‘slumming it’. Even though they oppose the rules set by their peers or security, they still use their position as a retreat or an excuse. This makes them spoilt and ignorant of the consequences of their actions. POSITIVE = The character comes from a beautiful estate which is has been taken care of by the family past and present, and the cities they invest in or govern have good security and wealth. This creates a community of good feeling and safety, and so the character appreciates their lot in life and is sympathetic to lesser-privileged people. NEGATIVE = The area the character hails from is a dangerous place, with violence a threat to the ruling higher-privileged families who live there due to their lack of concern for those less fortunate. This danger causes civil unrest and riot problems. It’s an oppressive place, and the family regard the lower classes as misfits and miscreants. POSITIVE = The character is taught that hard work and responsibility is the way, no matter how much you have or how much you can delegate. Religious ceremony may be a way of showing the community that the family is not all-powerful and even they answer to a higher power. Whilst they have a comfortable existence, more so than those above them, this brings the higher families and the lower classes together and promotes solidarity. NEGATIVE = The family ideal is ‘the power is yours, so you can do what you want’ – those without power or money are good for nothing but service to the richer or ruling elite. Their religion may incite hoarding and selfish acts, and encourage violence to take whatever makes the family or estate more powerful. Welcome to Planet Jimbot’s first publication! This a new comic from the writer that bought us King’s Crown/Metal Hurlant Chronicles, Birds of Prey and Marvel Milestones, and the Eisner winning artist previously known for such titles as The Stand and Astonishing X-Men - the Wedding Issue. With backgrounds like that you expect something special should be happening in the covers. And, honestly, they don’t disappoint. An alien race reaches out to planet Earth, but only with its collective minds. But for the aliens — too late — it proves a crippling experience, where Earth is dragging them down to a level they don’t want, and are unable, to go. Everyone on Earth remains blissfully unaware of this alien intervention, or do they? I’m not going to go through the story – I’m not big on giving away plot points or explaining what’s going on in a story as that’s up to the reader to experience. This is not a fast-action adventure at all – in fact, the story is slow but doesn’t drag. First of all, the artwork is straight forward black and white. There’s no shades of grey, here, and it suits the story well. Mike Perkins’ art is sharp and detailed and there’s a lovely sense of flowing movement, especially on the planet Tchailung where we see the aliens themselves, being cared for by the ‘White’ (and I’ll leave that for the comic to explain, it’s very clever) which means that all we see of their world is the aliens themselves – and they look great, but not otherworldly enough so that we can’t relate to them in some way – and a white background of nothing. This does two things; one, it gives the alien characters a sense of wonder and otherworldliness and two, it leaves a lot to the imagination. I have no problem with that – in my experience, half of good science fiction relies on what the person experiencing it brings to the table. That’s not to say that the artwork is leaving out huge swathes of paper and leaving the reader to fill in the blanks with their own imagination; not at all, the detail and quality of the artwork is excellent. 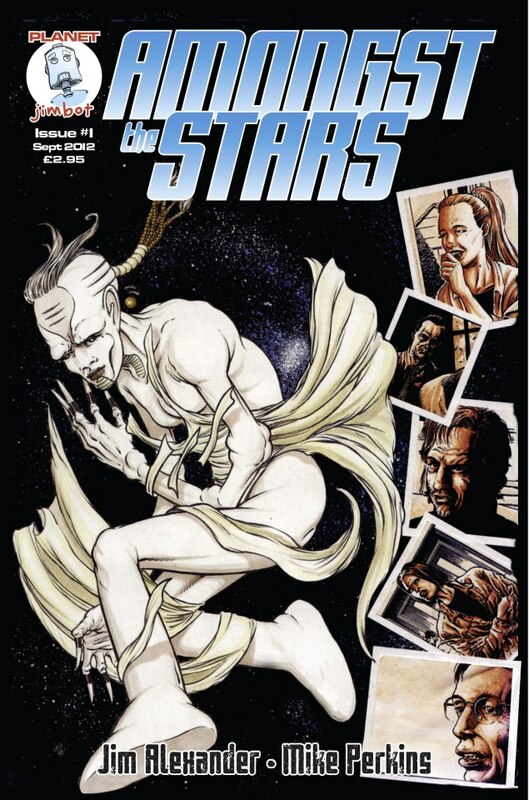 Jim Alexander’s writing is great for this piece – there’s a simple opening that allows the images to tell the story but as the comic progresses he opens the storytelling floodgates and talks us through Mike Perkins’ images with some great narrative, letting the conversations carry the story where necessary and then filling out other details as required. There’s some great storytelling here and it helps to create then enhance the atmosphere, and it caters for one element of my science fiction tastes – that element of the peculiar and unexplainable. Along with the main story in the 3 issues we also get a short story from Tom Carroll ‘The Lie’, serialised as single page stories (no art) about a future war, which is very good but best read as one hit once you get all three issues. 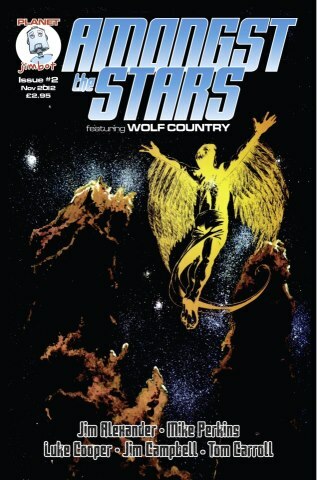 Also in issues 2 and 3 we also get the short comic ‘Wolf Country’ written by Jim Alexander, drawn by Luke Cooper and lettered by Jim Campbell. This is about some unfortunate God-fearing people besieged in their compound by ravenous werewolves – although all is not what it seems. This is an interesting if short story and sadly it’s not long enough or engaging enough to really be able to sink my teeth into (pun intended). The artwork is sharp and well done, even if sometimes the images have no real depth, but it’s entertaining and serves as a pretty good filler story. I’d like to see more from this team, perhaps something a little longer next time. Would I recommend these three issues? Absolutely. As a science fiction fan of all eras and genres I really enjoyed the primary story and the art, writing and presentation is excellent. I’m really impressed with this as a first publication from Planet Jimbot and I’m looking forward to seeing more of what these guys have to offer. Chronicle City is expanding its operations with the hiring-on of James 'Grim' Desborough as the Creative Director of the company alongside its founder, Angus Abranson. "I am excited - and nervous - to be working for Chronicle City. I have known Angus a great many years and have worked for and with him in various guises in the past. I believe Chronicle City has the potential to become a driving force in modern roleplaying and I relish the opportunity to work in other arenas such as card and board game development. I particularly hope to bring some innovation and attention to licensed properties and hope that I can bring some of my particular style and thought to everything that we do." - James said. Chronicle City is a new British based games publisher set up by multi-award winning publisher Angus Abranson (ex-Cubicle 7; Leisure Games). Chronicle City are working with a number of companies and designers to publish their games, as well as designing their own roleplaying, card and board games. I like to mine computer games for inspiration for my tabletop roleplaying games. Atmosphere, stories, situations, music, there's lots you can take away from a decent game and implement it in your campaign. I've been riffing on the movie Aliens since it came out. 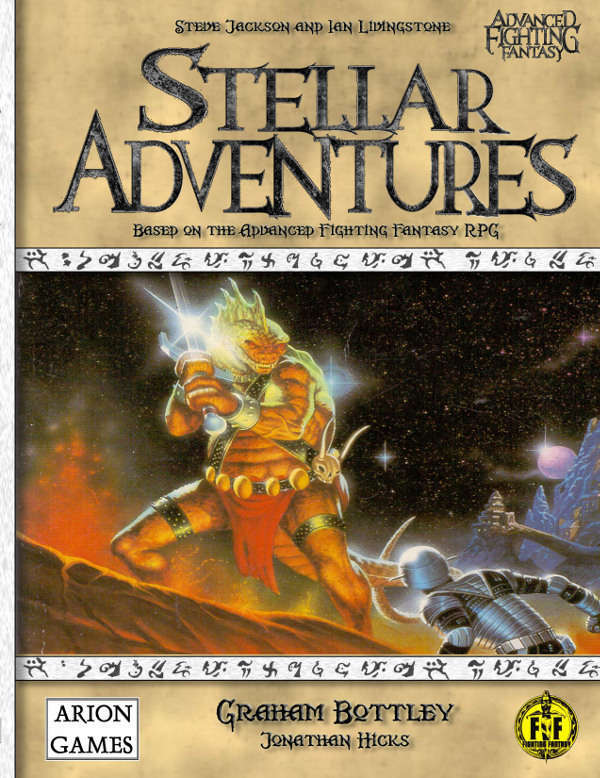 For the last twenty seven years I've taken elements from the movie and used them in my own campaigns, be they Star Wars, D&D, Buck Rogers or whatever; there's always room for some Aliens-type action in a game. I'm a huge Aliens fan as it was one of the films I grew up with as a teenager so it made quite an impression on me (although I have to come to realise that Aliens is a great movie but a bad sequel to it's predecessor). So, you'd have thought that a computer game billed as the sequel to James Cameron's 1986 classic should be filled to the brim with inspirational material. Sadly, it's one of the most uninspired games I've played. 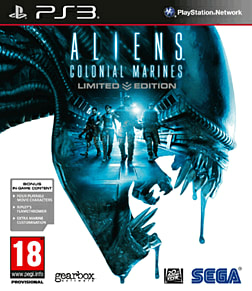 Not just as an Aliens game but a game as a whole. Seventeen weeks after the events of Aliens, another starship arrives at LV-426 to investigate what has happened to the marines that accompanied Ripley on the ill-fated expedition. The game starts pretty well and has some atmosphere. The first encounter with an alien has real tension and you get the impression that these creatures are truly dangerous. Just one creature keeps just out of sight and I had to pull off a lot of snapshots but finally I got it and a feeling of relief washed over me. If the game was going to be like this then things should be good. Sadly, this is probably the only moment of tension in the game. Following this initial encounter it turns into a standard shoot-em-up, with aliens coming straight at you with no regard for tactics or self-preservation and are simply there as something for you to gun down. Even the human foes later on have atrocious AI and it's a simple case of blast-walk-blast-walk some more. There's nothing tactical about the combat and the tension level is zero. The locations are all there - the Sulaco, Hadley's Hope - you know, the place that was supposed to have been vaporised in the movie, so straight away there's an eh? - the derelict; they're all there and they share the same visual design as the movie but... I've already seen all this in the movie, so why would I want to wander around there and shoot random pixels? There's simply nothing much new. I'm fan of the movie and there's plenty of little easter eggs and nods to the film but even I was unimpressed and even a little bored by the inclusion of Aliens references. It simply wasn't enough to keep me engaged. All in all I've been left with the impression that this game was simply cashing in on the heritage of the Aliens movie and this made the developers a little lazy. Fans will mostly enjoy it but I was left with a sense of disappointment and I'm surprised at that, considering how long it was in development. Bad gameplay and lack of depth equals a wasted opportunity. It's a massive shame. Please welcome to Farsight Blogger Tim Bancroft of Sceaptune Games. Villager (near Stonehenge! ); grandfather (and father! ); roleplayer (and gamer and wargamer! ); writer (and designer); student (Religion & Ethics); supposed Christian (though somewhat radically liberal); geek (Star Wars, Stargate, Star Trek, Lord of the Rings, Napoleonic navy, Crusades and Romano-Byzantine period, mainly). I also love walking and my wife and I regularly go wombling across Dartmoor and the Salisbury Plain. I’d been wargaming for a while and a friend of a gaming buddy went to America and brought back these booklets for an amazing game. It was D&D, of course, and I fell in love with the concept and was hooked, running a campaign for friends and my brother. 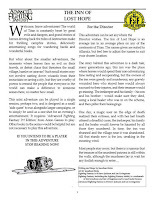 Then Traveller – amazing for SF – and when Runequest came out a few years later I switched my fantasy gaming almost completely over to this wonderfully rich and different world. We’re talking 70’s, of course; I’ve been RPGing since D&D came out, which must be around 38 years, now, I guess. The story and the creative interaction between the players round the table. You just cannot get the interaction or communication bandwidth in any other way. The relaxed social side is great, too, and unlike others I enjoy the occasional out of game diversion. I MUCH prefer running and playing in campaigns, though, where you can buy into and develop a character and relationships: I look on RPGs to provide a structure in which a rich SF or Fantasy creation – a story – can evolve. I love GMing and writing, dreaming up campaigns and scenarios, especially trying to see if players can think out a non-combat solution. Indeed, many scenarios I create have or can be twisted to have non-combat solutions should the players wish. It’s got to be rulesets that can support campaigns, really, and preferably simpler rulesets. On the fantasy side, it’s simpler forms of fantasy d100 and Runequest such as OpenQuest or its relatives, whilst on the SF side it’s typically Hyperlite – which I love – and similar derivatives of Mongoose’s Traveller. I ran several d20 Star Wars campaigns, mainly ‘cos I love Star Wars, even though the rules can be fiddly, but I’m not overly excited by what I’ve seen of the latest Star Wars ruleset. Beat to Quarters is also great fun and I created two derivatives versions for it for running leaders in a Goblin tribe and for playing Star Wars. Otherwise, I tend to find the Indy/Hippy games very unsatisfying – probably because the experience is too short, biased towards one-shots, and also because the nature of them means I find both the settings, process and systems are often too predictable. As much as I can, but not enough in my opinion. I wish I could play more: I can make time! If anyone wants a regular playtesting slot for Hyperlite or anything else, do get in touch. It looks as though Tuesdays might be a good evening. As a developer, I find playtesting is absolutely key as all sorts of things come out of live play and playtesters even feed great things back. Yeah – a perennial accusation. An ageing core fan-base and the hobby’s fragmentation at the moment is the most problematic, I think, so we’re not picking up the MMORPG-ers. Whilst it can be seen as an exploration of boundaries and development, the fragmentation through creation of numerous “my systems” makes finding satisfying games quite difficult as I have to keep learning new rules! I guess that’s why I stuck with the OGL Traveller rules in Hyperlite and the OGL Runequest rules through Openquest games and derivatives as I didn’t want to add to the problem. It’s also why I’ve gone with Angus’ Chronicle City rather than staying separate: the consolidator concept is a good idea at this time and also, I think, can act as a form of quality control. It’s too easy to create your own ruleset and I’ve heard some horrendously complicated ideas. The advantages tabletop has over online or other, channelled, games are the social interaction and breadth of bandwidth and I think it’s that players and GMs need to focus on. It’s worth remembering this advantage, this adaptability and flexibility, and that no ruleset can cover every situation. For example, despite the potential for a mid-level detail in Hyperlite, my actual and advocated GM style is quite loose, using the rules as a guide and allowing the characters to be themselves and explore the situation and universe before them. I’ve frequently run games where players have only made one or two dice rolls in a session but have made a point of saying they’ve had an absolutely great game. The Quester’s Guide to Duck and Hyperlite: The Sirius Treaty. Both were really great fun to write for very different reasons and both have produced really satisfying games. None, really, other than forgetting to give Greg Stafford a copy of Duck when I chatted to him. It’s all been really great fun and the people I meet are all really interesting. I consider myself lucky to be playing and be involved in such a great hobby with so many fantastic people. The second edition of Hyperlite: The Sirius Treaty should be out early this year (see Chronicle City). I was asked to extend the timeline and various players asked for a few more examples and ideas for campaigns and play, so those have been included. It also contains some of the advanced augments from Hyperlite: Corporate Crisis. Players still have the problems of dealing with risky, sometimes hi-tech, problems and situations whilst armed with little more than Roman legionary equipment! Otherwise, Hyperlite: Corporate Crisis is the most advanced and is being playtested. 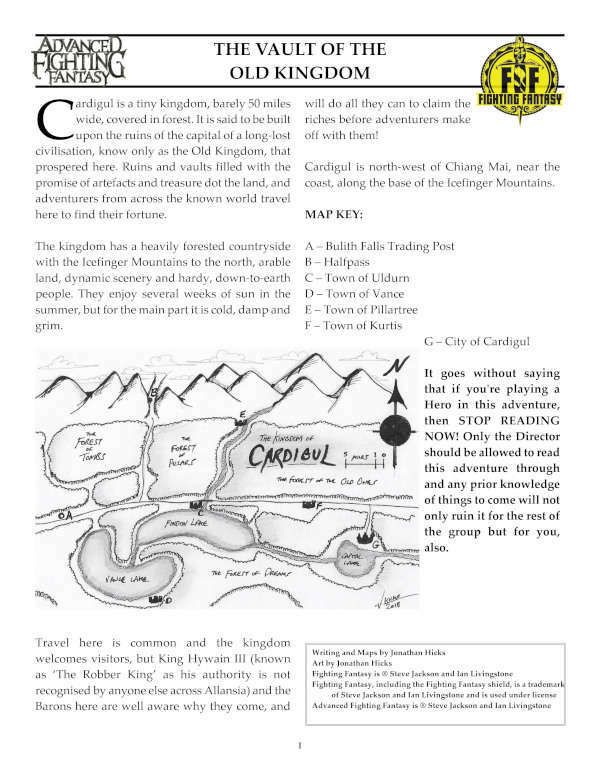 It’s based in the Hyperlite universes and uses the same 2D6 ruleset. 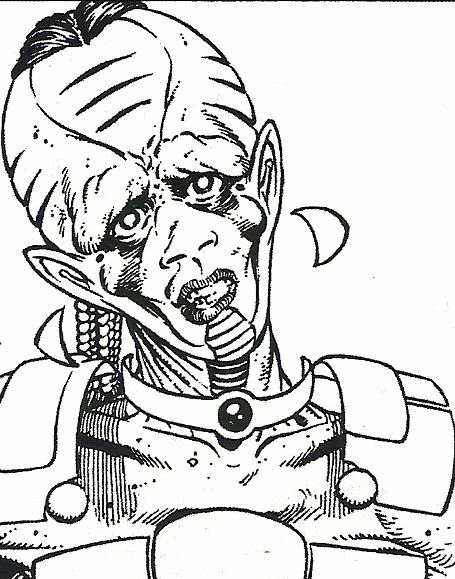 However, whilst The Sirius Treaty focuses on conflicts and issues on the low-tech Protected Worlds, Corporate Crisis is concerned with futuristic corporate espionage between the interstellar metacorporations and, well, whoever tries to get in their way. Characters tend to start the game fairly well jacked-up as part of an intelligence team or a Corporate Crisis team. It’s a mix of investigation and action and has made for a number of interesting one-shots with the inclusion of hostile sleepers inserted within the Corporate Crisis teams themselves! For various reasons, I try and keep things updated on Facebook rather than on a regular blog, and I’m happy to chat about anything on the Sceaptune Games forum guested on the excellent UK Roleplayers. On the back-burner is LOQE (lo-ki), a set of d100 extensions and options for Legend and Openquest – and perhaps other d100s), including a character creation minigame and a cascading skill system that can radically reduce the number of skills in use. 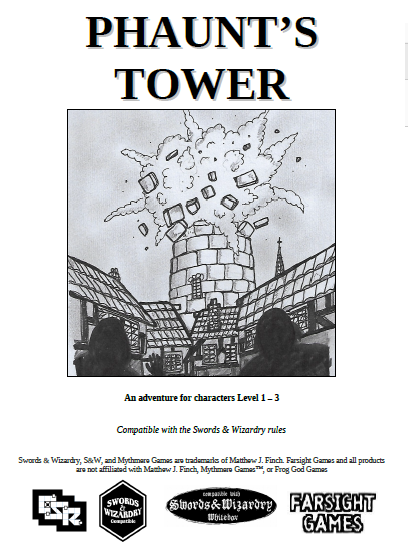 There is also a Hyperlite Fantasy ruleset that I’m toying with and have run a couple of times. And there’s a couple of one-sheet rules for SF wargaming and zombie apocalypse and may be involved with a demo/participation games of those this year as well as putting them up on DriveThruRPG. If I can get all this done around studying for the ethics degree, of course! Game mechanics and rules are all well and good – after all, they decide what you can and can’t do and if you do or don’t succeed. Most role-playing games don’t work without them. Asking for the players to make dice rolls is a regular occurrence, especially when the players get involved in combat of one form or another. In fact, in a lot of games, any conflict is most likely where the most amounts of dice rolling is going to take place. You’re probably going to be rolling dice to decide on hits, parries, dodges, damage and any other number of eventualities that happen during combat. In high adventure games this is a certainty. But with all this combat comes a slight problem, and that problem is this – when fighting the battles, the game sometimes changes from a detailed narrative to simple number crunching and bookkeeping. The combat becomes the game; i.e. the rules mechanics are continually the forefront of the chatter as the conflict is decided. So, after a long time detailing the game world with eloquent narrative, detailed descriptions and interesting NPC/PC conversation, the game suddenly shifts into numbers and tables, dice rolls and results. ‘Rules-speak’ replaces ‘Game-speak’ – this can stall the otherworldly atmosphere you’ve created. Many games already have their own detailed combat tables but these tables describe the effects of combat and not the actual event itself. Certain games, such as Rolemaster or Warhammer Fantasy Role-play, have random descriptions that describe small slices up to amputations, head ringing blows up to concussions, even beheadings if the roll is high enough. At first this sounds great – finding out what kind of damage you have done can be exciting as the fight progresses, but once the characters are of a certain skill then only a few of the higher-end critical descriptions apply. There are only so many times you can read out the same entry for every foe slain. To counter this, change the description slightly. Some descriptions are simple, at any rate such as ‘Cut deeply into arm, +5 hits’ or ‘Shot to head, +10 hits, stunned 2 rounds’, so they’ll be easy to build upon. If the description calls for a beheading, just tone it down to a throat-cut. If an arm is lost, then make it a hand, or lop it off at the elbow, or at the bicep. As long as the effect of the wound is the same as it is written on the table, the details of how it happened do not need to be repeated. For example, taking the entries above, lets say a PC hits a foe in the arm and rolls the ‘Cut deeply into arm, +5 hits’ description. As well as explaining the effects (if it is in your house rules to detail the condition of enemies in combat) you could say, ‘your sword cuts into his upper arm and he howls in pain – fresh blood splashes down your blade and stains the carpet scarlet’. A little bit of narrative helps visualise the combat and also helps to prevent the encounter from turning into a dice-fest. Now, lets take the second entry ‘Shot to head, +10 hits, stunned 2 rounds’, and let’s say it is the PC that has been hit. As well as detailing the effects of the critical, you could add ‘the bullet slams into your left temple and for a moment there is bright light and pain, the blood pounds in your ears and the room spins out of focus’. At this point, the player has no control over what happens to his character so you have free licence to describe the incident as you wish. Remember - don’t go overboard with your descriptions. Combat, depending on the situation, can be fast and furious. Simple one- or two-line descriptions as in the examples above are all you’ll need. Long-winded details such as ‘your sword swings with a flash of steel like lightning, cutting through the armour of your foe and then into the flesh, followed by a scream as the wound bites deep, the enemy staggering backwards from the pain and the shock, the blood splashing…’ and so on will slow the game down. Also, in a long combat, you won’t be able to keep the narrative going before you start to repeat yourself and then the effect will be lost. Of course, you can’t always rely on the game to supply the details of the combat. Combat is ultimately under the direct control of the GM. The players, for their part, can describe the tactical moves the PC’s are making but the results of their decisions, the description of the fight and the movement of the NPC’s is controlled by the GM. Each player makes their dice rolls to determine their success – it’s up to the GM to describe the results of these rolls. When the PC’s and the intended threat first face off, the GM must describe the environment and the reaction of the NPC’s. A lot of encounters might begin with numbers, weapons, who looks like they’re in charge etc, and then the battle commences with surgical precision. ‘They look like a threat, lets fight them’ kind of thing. By adding a little description to the encounter, such as what is in the immediate vicinity of the characters and the appearance and the emotional reaction of the NPC’s, the GM can already begin to add detail to the encounter. The straight report – ‘You find yourselves walking into a small clearing where five roughly-dressed Orcs are camped. There’s a fire in the middle, and the Orcs see you, gather their weapons and attack.’ This is a straightforward way of beginning the fight. It gives details of the vicinity and the rough appearance of the Orcs, and the fact that the PC’s should get ready to defend themselves. The detailed report – ‘You crash through the thick vegetation to find yourselves in a small clearing. A blazing fire burns in the centre and silhouettes five figures standing casually by it – Orcs. They are dressed in a variety of rusted breastplates and broken chain mail, dirty and unkempt, and as you appear they turn to face you. There’s a moment of shock as they stare at you, evidently not expecting company, and as the shock fades they draw their rusted swords and run forward, faces contorted with rage’. As the combat is not yet joined then you can afford the long description. What this longer detail tells the PC’s is that the clearing was well hidden, the Orcs are not expecting trouble (an advantage they could capitalise on) and that they aren’t very well prepared for trouble, what with their mess of armour and old weapons. Although some of this detail will not aid the PC’s in the fight, it gives the encounter a sense of identity and helps imprint the visualisation of the scene in the player’s mind. When battle is joined the GM has to think fast. Not only are they responsible for the actual mechanics of the fight, they must also quickly insert little snippets of detail to bring the combat to life. There’s no need to detail every tiny moment of the fight, but small sentences during combat, with larger descriptions inserted to heighten the more important parts of the fight. For example, PC #1 hits Orc #1 with his sword. The rolls dictate that the PC hit the Orc, that the Orc tried to parry but failed, and the blade hit the Orc in the chest, robbing him of three quarters of his hit points. The GM could, to speed things up, simply describe the results of the rolls. Preferably, they will go into more detail determined by the drama of the moment. So, if the PC hits an Orc foot soldier as part of the ongoing fight, the GM could say ‘you swing your sword (perhaps even miming the move) and cut down at the Orc, who lifts his blade to intercept but fails, and you slice him across his chest, sending him staggering and howling’. This is enough. You could go into detail regarding the arc of the sword, the flash of steel, the ripping of armour, the spray of blood, the face of the enemy… this is all very good, but you must remember that combat, in most cases, is fast and bloody. Describe the action but don’t dwell on it unless the player is impressed with what they have done. On the other side of the coin, lets say the PC has hit the Orc Chief, or is cutting down the last Orc of the fight. Then the GM can add a bit more detail as this is obviously an important part of the conflict. It is here that you can wave you arms about, contort your face, howl as the enemy does – ‘You swing your sword overhead, hacking down at the Orc Chief (mime the action here) who, already wounded, tries to lift his sword to intercept but he reacts weakly (mime here). Your sword slashes him down the chest, slicing armour, cloth and flesh (indicate the body area where he has been struck on you r own body), and he staggers back, his faced shocked and pained (contort your face) and he crashes onto his back and lays still’. As this moment is a dramatic moment, either the defeat of an important NPC or the end of the battle, then the GM can go into a bit more detail to represent the turning point or the winding down of the conflict. Physical representation by miming the moves or expressing the features of the NPC’s add an extra dimension and helps the PC’s visualise the fight. The fight is over – for better or worse. Now it’s time to wind things down, let the PC’s catch their breath. If your descriptions have been enough to help visualise the fight and the combat has been fast enough then the players will be emotionally tired. It’s time to gather your wits and review the situation. Who’s injured? Who’s dead? What has been broken, or lost? Describe the blood, splattered ground, the pain of wounds, the sweat, the tears, the deep breaths of exertion. Don’t just run the fight – you’ve described the initial encounter and detailed the fight but your job is not over yet. For example, let’s say the PC’s are victorious but one of their number is seriously wounded. Describe the scene after the fight, with Orc corpses littering the clearing. Maybe one has fallen dead on the fire and is cooking with an acrid stench. Their blood will stain the ground, the weapons and the PC’s. Any wounds suffered will slowly be realised as the adrenalin wears off – cuts and grazes and slices and gashes will bleed and ache, limbs will ache with exertion, heads will hurt with the shock of it all. The badly wounded PC might be crying out in pain, clutching a badly mangled limb, crying for help. This will be up to the players to act out, but the GM should make them aware of their injuries and their state. 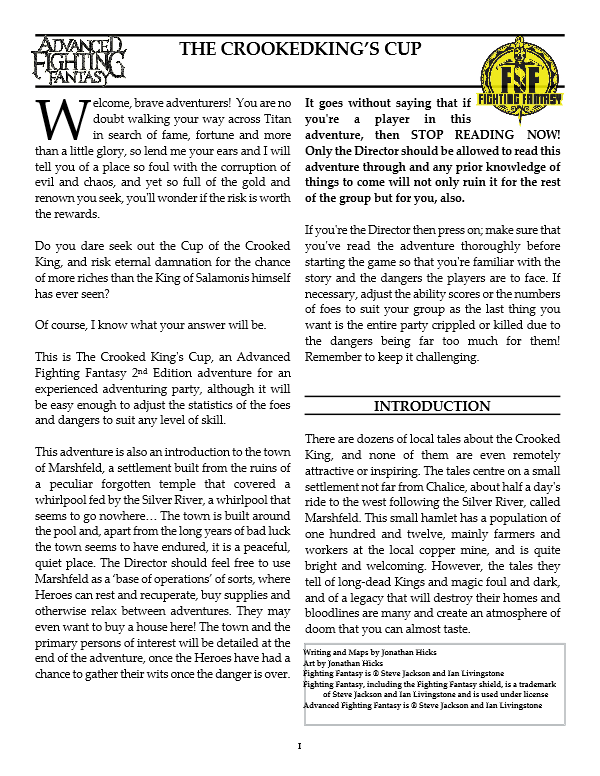 On the other hand, the GM might be of the ‘high adventure’ ilk. Perhaps the game is played with an abandon, so that when the enemy is defeated the PC’s all walk from the fight with puffed-out chests and a knee-slapping bravado. Still – that’s a group preference and not considered in this article. Using the examples under the Gamesmaster’s control heading, the players can have a hand in the description of the fight by actually narrating their actions instead of the GM. This solves two things – 1, the GM has some of the work taken off them as the players shoulder some of the action and 2, it gives the players more sense of control over their PC’s. The GM might be of the ilk that describes the combat and the players roll the dice – although this takes the pressure off the player, it’s always best to add your own little bit of narrative. Instead of saying ‘I hit the Orc with my sword’, embellish it a little. Say ‘I swing my sword overhead (mime the action if necessary) and cut down at it’. If you parry a blow, mime the action and say ‘I’ll knock his sword away with a clang!’ or something. Try not to simply roll the dice and say ‘I got him’. Roll the dice and say ‘I slash at him (mime the action) with a roar – argh! – and throw my weight behind it’. Again, be careful not to go overboard with your descriptions. Detailed narrative of the intricacies of holding a sword, the rippling of muscles and a slow motion slash might be entertaining to you, but there are other players and a GM to consider and bullet-time miming might slow things down a bit. Also, don’t go over the top with the physical manoeuvres your PC might attempt. Back flipping over the enemy, landing square behind him and pirouetting into a slice might sound great but when you barely scratch him with your attack, or the GM adds all kinds of modifiers to the dice roll for the action, you’ll soon realise to keep it simple. Unless the action has a tactical advantage or it is part of the PC’s fighting skills then leave it out and concentrate on what you can do. So, the fight is over. The enemy lie dead, but what wounds have you suffered? How do you feel? How long did the fight last? It’s all well and god looking at your character sheet and noting that you’ve taken several hits, but how do those hits physically manifest themselves? Act the part of a wounded person – that slice across the arm might count for five hit points, but it’s still a slice across the arm. You’re in pain. You’re hurt. Five Orcs just tried to slice you up – you’ll be trembling from the encounter, and as the adrenalin wears off you might get the shakes or cold flushes, depending on the demeanour of your character. You might be the stoic type, bind your wounds with a grimace and do your best to appear defiant. You might collapse under the strain and want to be left alone for a while. If you’re badly injured, you might need help, writhing in agony. The point is, act out the aftermath, role-play the condition of your character. That loss of hit points means something, the stats of your character mean something, the attitude of your character means something and it can all be used to describe how your character acts after a major fight. It adds a dimension of reality to the whole proceedings and can be very rewarding. Below are several short ideas of descriptive things to remember when running certain types of combat. The slap of flesh, the shock of impacts, the thump of fists, the grunts of pain, the bruising, cuts and scrapes, the dizzying blows, the winding punches, the staggering falls, the crash of furniture, the cracking of bones. The clash/ring/flash/gong/rattle of steel, the swoosh of swinging weapons, the cries of pain, the fear of expression, the splash of blood, the stench of offal, the slipperiness of the ground, the ache of bones, the slicing of flesh, the cutting of limbs, the white light of stuns, the roar of anguish and defiance. The crack/bang/explosion of weapons, the swoosh of arrows, the shock of impact, the surprise of being hit, the penetration of missiles, spraying of blood, the sharp pains, the splinter of bones, the screams of agony, the tenseness of aiming, the clouds of dust of near hits, the whistle of bullets and shells. The flash of light, the screech of energy, the heat of near hits, the melting of flesh/bone/metal, the cries of pain, the crash of explosions, the smell of burning, the haze of smoke, blinding bright light, the hiss of decompression, the shouts of conflict. The screeching of tyres, the roar of engines, the thump of impacts, the crash of metal, the speed of aircraft, the spiralling of star fields, the brightness of explosions, the thump of concussion, the shaking of vehicles, the cries of shock/anguish/surprise, the blare of horns, the wailing of sirens. I'm exceptionally pleased to welcome to Farsight Blogger James Wallis. You might remember James from memorable hits such as Hogshead's Warhammer Fantasy Roleplay, The Extraordinary Adventures of Baron Munchausen and Dragon Warriors. James has had a varied and interesting career in the RPG industry and right now he has a Kickstarter campaign on the go - Alas Vegas - which finishes the end of February 2013. Hello! I’m James Wallis. Most people know me from my company Hogshead Publishing in the 90s, the first British RPG publisher to successfully break into the American market. We published Warhammer Fantasy Roleplay, Nobilis, SLA Industries and a bunch of the early story-games, which we called New Style. The most famous of those is The Extraordinary Adventures of Baron Munchausen, which I also wrote. I sold the company in 2003 and went off to be a games consultant. In the late 00s I republished a classic British fantasy RPG, Dragon Warriors in a gorgeous new edition. That didn’t go so well. At least, it was going to be one adventure until Kickstarter got hold of it. Alas Vegas hit its original funding goal in less than eight hours. We added a second setting, a mad time-travel adventure called 'Yet Already' by Gareth Hanrahan, and that got funded in three days. As I write we're not quite six days into the project (it runs until the end of February) and we're busy asking all our designer friends what they can add to the game. Running a Kickstarter is an amazing feeling. I recommend it. I've been playing since the early 1980s, when I was at boarding school. AD&D was the game of choice, and that was it as far as I was concerned. 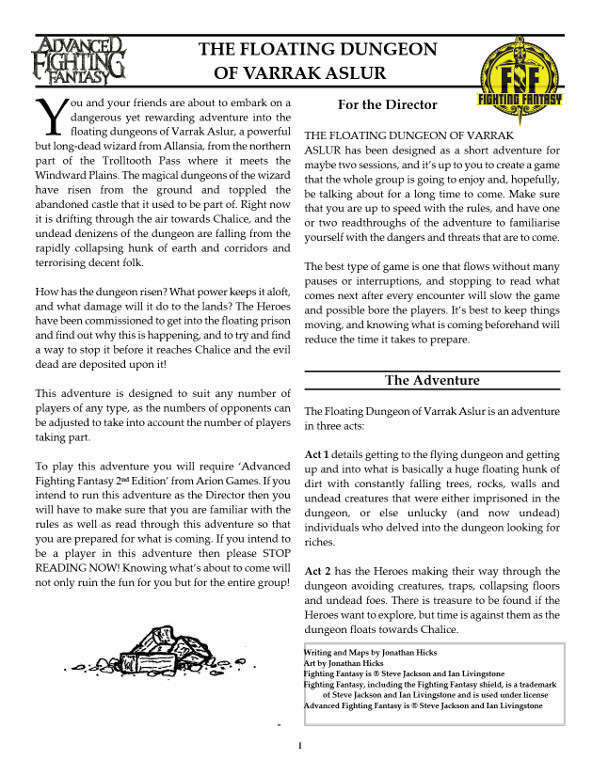 In a few months I was running a gaming fanzine, and three years later I was selling articles to White Dwarf and part of a team that set the Guinness World Record for endurance-RPG play (we lasted 84 hours and raised a lot of money for charity). Roleplaying is great because it's properly immersive and it tests you on the terms of the game-world, not the game system. I've lost count of the number of computer games I've played where I've been enjoying the characters and the narrative and the setting, and then there's some stupid jumping puzzle or QTE that relies on my dexterity and reaction time, and it's thrown me right out of the sense of being there. Plus it's a field where there's constant innovation, constant reinvention of the old into something new and fresh. Tabletop roleplay didn't just pave the way for fantasy computer-games and MMOs, it created the models for digital-publishing and e-books, it developed the systems and mechanics that underlie the marketing ideas of 'gamification', and much more. I have no doubt that the ideas and systems of today's cutting-edge RPGs will start appearing in something mainstream within a few years. It's an amazing, exhilarating field to be involved with. 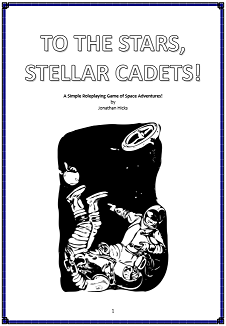 I still play my own designs a lot, mostly the story-telling card-game Once Upon a Time and the RPG drinking game The Extraordinary Adventures of Baron Munchausen, and they haven’t paled. I’m kind of astonished how much I still enjoy playing them. I've not been in an actual RPG campaign for ages, but when I was we had amazing times with Empire of the Petal Throne, and Ars Magica. I read a lot of the story-games and indie RPGs that come out, but I find that a lot of the gameplay is quite samey even if the mechanics are different. One game I did get the chance to play and write for is Robin Laws' HILLFOLK, which had an amazing Kickstarter a few months back, making $93000 from a $3000 ask. It's a fantastic game. Robin wrote one of the very first story-games, Pantheon, for Hogshead back in the day, but comparing the two is like putting a firework next to a Saturn V. Hillfolk is really something else. It deserves to be a massive, massive hit. Because of small children I don't have time to play much except board-games at the moment, though I can't wait for them to grow up enough to be included. But right now stuff that can be played in a single evening is kind of a necessity. I really like Eurogames, their design elegance appeals to me, and I am still a huge goob for Settlers of Catan. And I play a lot of my own designs-in-progress and little homebrews and one-shots that friends have cooked up. We're still unpacking from a house-move, but I can't wait to find my copy of Risk: Legacy - if you've not heard of it it's a wargame that comes on like an RPG campaign, it plays over a number of sessions with the same players, each victory or defeat alters the board, there are locked components and new rules that are only revealed if certain things happen during gameplay... it's amazing, made doubly amazing by the fact that it's also still recognisably Risk underneath it all. Well worth hunting out. When in doubt, I’d rather play something that tells or creates a story than something that doesn’t. That’s the golden rule. I spent a lot of the 90s and early 2000s bemoaning the industry’s inability to change or come up with anything genuinely new in the area of roleplay or storytelling games, and I often prophesied its doom due to stagnation. The success of games like Fiasco has brought a new life and a new audience to a sector of gaming, which is great, but I’m not sure it’s enough to save the whole field in the long term. So much depends, as it’s always done, on what happens with D&D - still the flagship for the hobby, still the game that brings more people to roleplay than any other. But Paizo has adroitly manoeuvred Pathfinder into a not-dissimilar position and they seem to understand what the market wants more than almost anyone out there. Whether they can actually grow the hobby remains to be seen, but they’re doing a heck of a job. And Kickstarter - I’m sure you’re sick of hearing people saying this, but Kickstarter has disrupted the market in an extraordinary way, in all sorts of markets. Combined with print-on-demand technologies you don’t need to understand distribution or retail or printing any more: you can come up with a cool idea, get a few thousand dollars to fund it and produce your first game at a profit. Kickstarter is preaching to the existing market, of course, but it’s revitalising huge chunks of the market. I mean, even a year ago who could have predicted that a new edition of the Fate rules could make almost a half-million dollars in gross revenue? That’s extraordinary. Really, what I’m interested to see is how the minis companies deal with the arrival of affordable hi-res 3D printing. That’s going to be a bloodbath. I'm really proud of what we achieved with Hogshead, and the fact that we pioneered a business model that's now used by every successful British RPG company. I'm pretty sure that without Hogshead there wouldn't be a UK RPG industry. Beyond that, Once Upon a Time proved there was a market for story-based games and Baron Munchausen jump-started the whole story-games movement, and they're both still popular - OUaT came out in a third edition before Christmas, and Baron Munchausen will have a third edition later this year. But the most exciting project is always the next one. Oh, good lord. I'm still hoping to get some of these people to do work on Alas Vegas, you know? Get any games designer drunk and they'll regale you with stories of the most astounding behaviour of genius and stupidity in equal measure. But it's a small community and everyone knows everyone, and I'm not comfortable telling tales about people who'll almost certainly read what I say about them. Like I say, buy me a drink or two. - and it’s getting bigger by the day. Beyond that I have a few games in playtest: we're developing expansions and spin-off card-sets for Once Upon a Time, and I mentioned the new edition of Baron Munchausen above. Beyond that I've got a prototype of a very fun collaborative drawing game called Drawful, and a few more RPGs including a back-burner project from the 1990s called Cop Show and something that might turn out to be a sort-of sequel to Alas Vegas which will be called either ‘Anybody’ or ‘9/10’. Many thanks for the interview. It's been a blast.